Art Anderson Associates offers traditional naval architecture and marine engineering services for vessel renovations, repairs and improvements. But it doesn’t stop there. We have a high degree of expertise in the design and renovation of non-powered floating structures and facilities and fixed over water structures and systems. We work with owners and shipyards to monitor and support vessel construction. We also maintain a research and development group that is on the cutting-edge of emerging technologies and approaches to marine challenges. Art Anderson Associates provided naval architecture and marine engineering services as a subconsultant to HDR Engineering for the design of a portable floating fish collector to be installed in the Cougar Reservoir on the South Fork McKenzie River in Oregon. Under a compressed schedule we designed the collector as an integrated vessel with multiple sub-systems. We were also responsible for the mooring and subsea cable system design. Art Anderson Associates provides on-going engineering support services for SAFE Boats International. These services include design analysis and performance development on new and existing vessel designs, detailed engineering supporting on-going production projects, and proposal and concept development support. 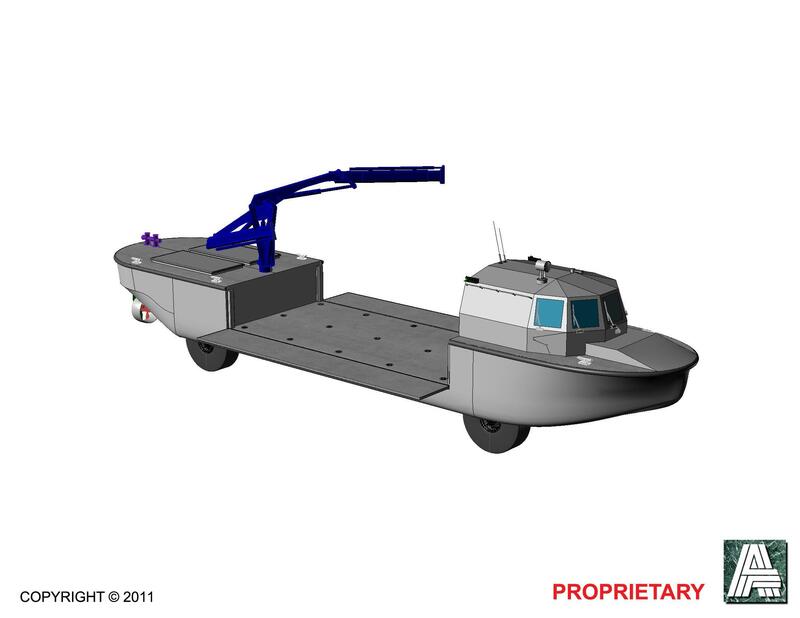 Art Anderson Associates developed a concept design for NAVSEA for a multi-mission capable, amphibious craft intended to replace the LARC-V. This new craft, the Lighter, Amphibious Supply Cargo LARC(R), was substantially more capable than the LARC-V. It has significantly higher bollard pull and speed, is more stable and safer in the surf zone. It is environmentally friendly, employs new technology to provide a more user friendly interface, and more reliable drive and auxiliary systems. Art Anderson Associates has provided multiple ferry concession planning studies with Dornbusch Associates. The studies were completed for the National Parks Service at Alcatraz, Fort Sumter, Fort Pickens, and Ellis Island. The scope of the projects included site visits, operational and technical standards for all ferry vessels needed for the operation, and cost data for piers, vessels and routes. Art Anderson Associates also provided technical input for use in preparation of the prospectus and led the effort to develop an Evaluation Tool for the National Park Service Evaluation Panel members to use in evaluating and ranking each proposed vessel. Through an on-call agreement with FOSS Maritime Art Anderson Associates provides shipyard construction support including detailed design; vessel mooring design, load and analysis; and project management. The Illinois Department of Transportation (IDOT) hired Art Anderson Associates to provide the design, fabrication, and delivery of a new push boat and new barge ferry for the IDOT-operated Brussels ferry crossing of the Illinois river between Calhoun and Jersey counties, just north of Grafton, IL. We provided naval architecture and marine engineering design services and construction support for the new push boat M/V Liberty Belle and the new ferry Barge 2012. Art Anderson Associates conducted a shipcheck and analysis of the NOAA Ship Rueben Lasker salt water system to detect failures that were occurring since the onset of service in 2014. Recommended system modifications were presented to improve system functionality. On behalf of the Washington State Department of Transportation, Art Anderson Associates designed a new bridge tender workboat used for inspections and maintenance on the I-90 floating bridge in Seattle, Washington. After an initial study to develop alternatives for updating the existing aging vessel, Art Anderson Associates and WSDOT determined replacing the vessel rather than refurbishing the existing workboat was advantageous. The new design features significant improvements in operating efficiency, reducing operating costs while increasing safety, as well as reducing emissions and environmental impacts. The M/V Columbia is a 418-foot passenger and vehicle ferry in operation in Alaska. Art Anderson Associates provided naval architecture and marine engineering services for the renovation of the vessel’s bridge deck. Improvements consisted of the full refurbishment of the bridge deck crew living quarters, repairs to the house top, stack repairs, and related systems upgrades. Art Anderson Associates led a project to upgrade lifesaving equipment across the Alaska Marine Highway System vessel fleet. The project consisted of preparing planning, design, and construction documents for upgrade and refurbishment of lifeboat and supporting structural, electrical, and hydraulic systems. Project goals included using similar installations across as many vessels as practical and minimizing the life cycle cost of the systems. Vessels included the Aurora, Columbia, Kennicott, LeConte, Malaspina, Matanuska, Taku, and Tustumena. Art Anderson Associates supports The National Oceanic and Atmospheric Administration (NOAA) Marine Operations Centers (MOC) providing all phases of marine design and naval architecture including specifications and drawings, analysis, feasibility studies, life cycle management, and operational engineering for the NOAA oceanographic and fisheries research ships and small vessels. 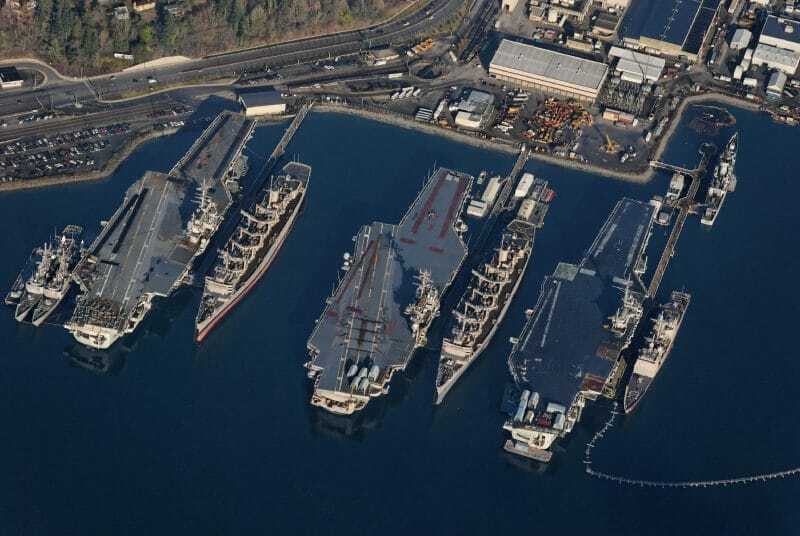 As a subconsultant to AMSEC, we currently provide marine design and engineering services for Puget Sound and Pearl Harbor Naval Shipyards and Intermediate Maintenance Facilities. This includes comprehensive services for all current and former US Naval vessels, ships, craft, and boats in the areas of naval architecture, civil, mechanical, electrical, electronics, industrial, and environmental engineering.